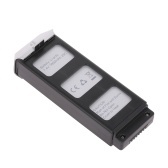 High quality and light weight to take out. 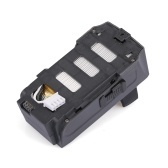 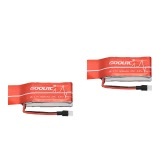 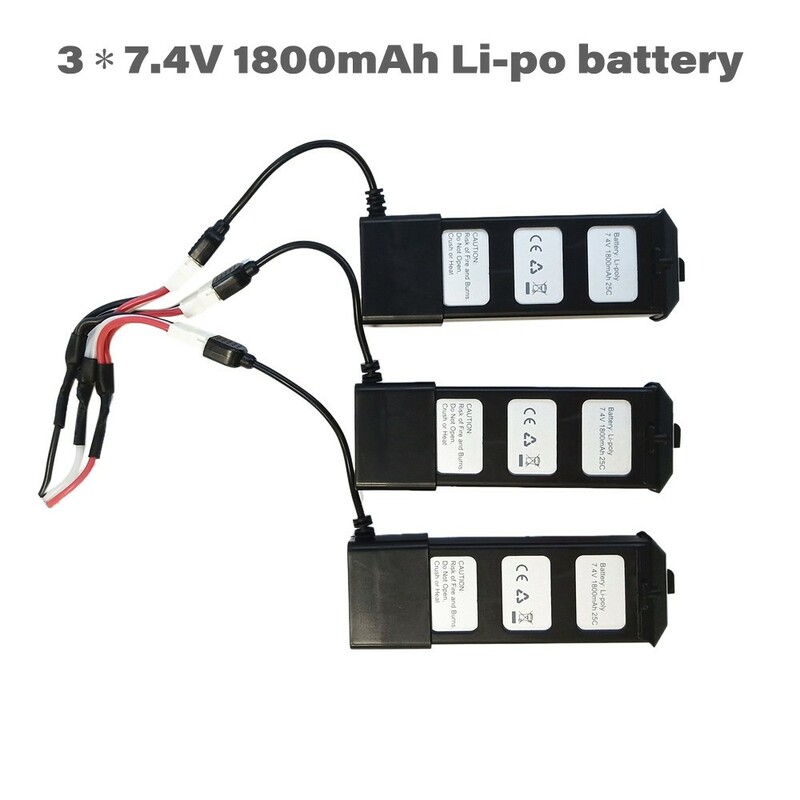 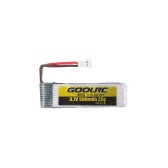 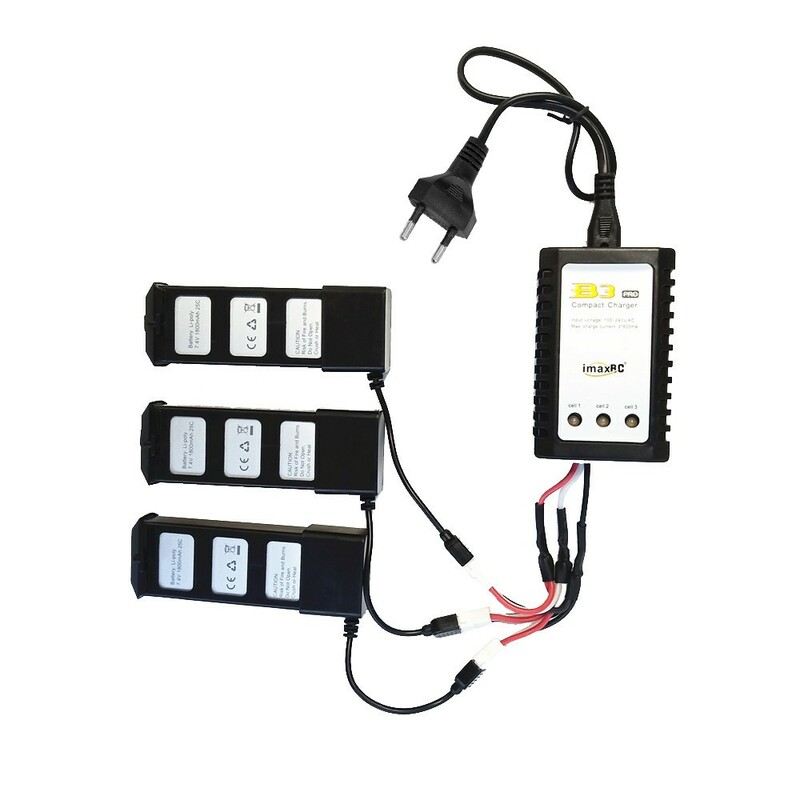 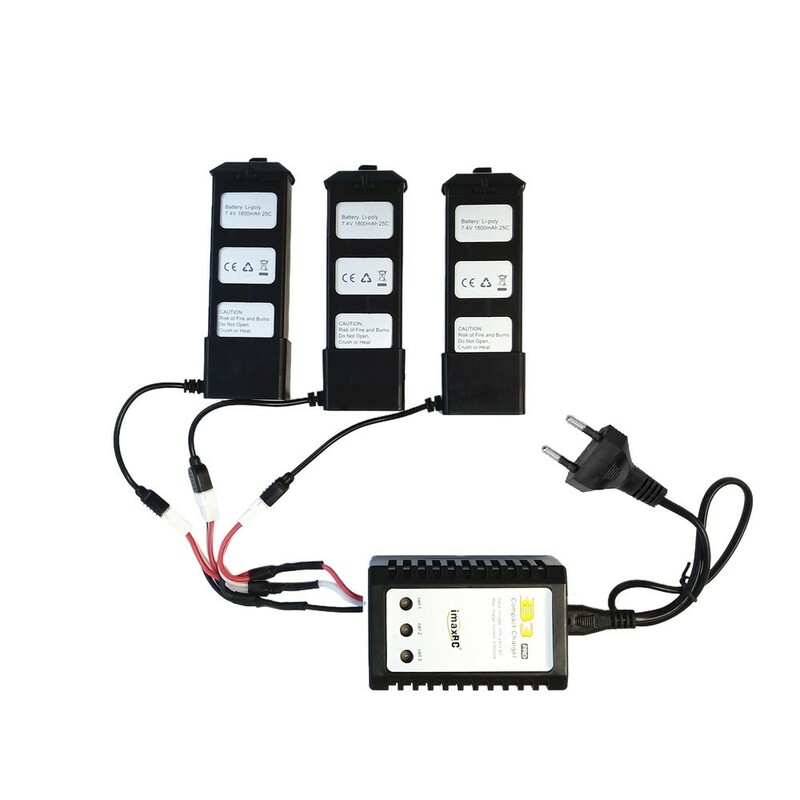 3pcs 7.4V 1800mAh Li-po battery for about 45mins flying time. 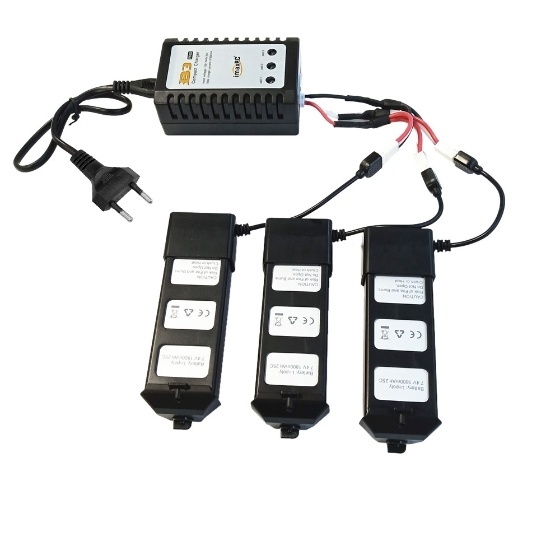 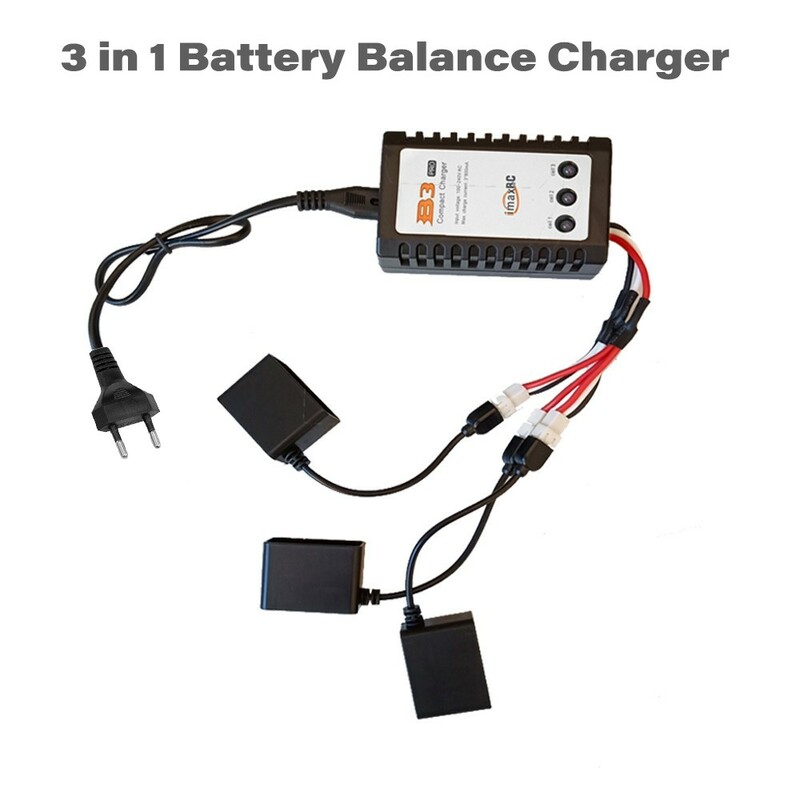 3 in 1 Balance charger save more charging time. 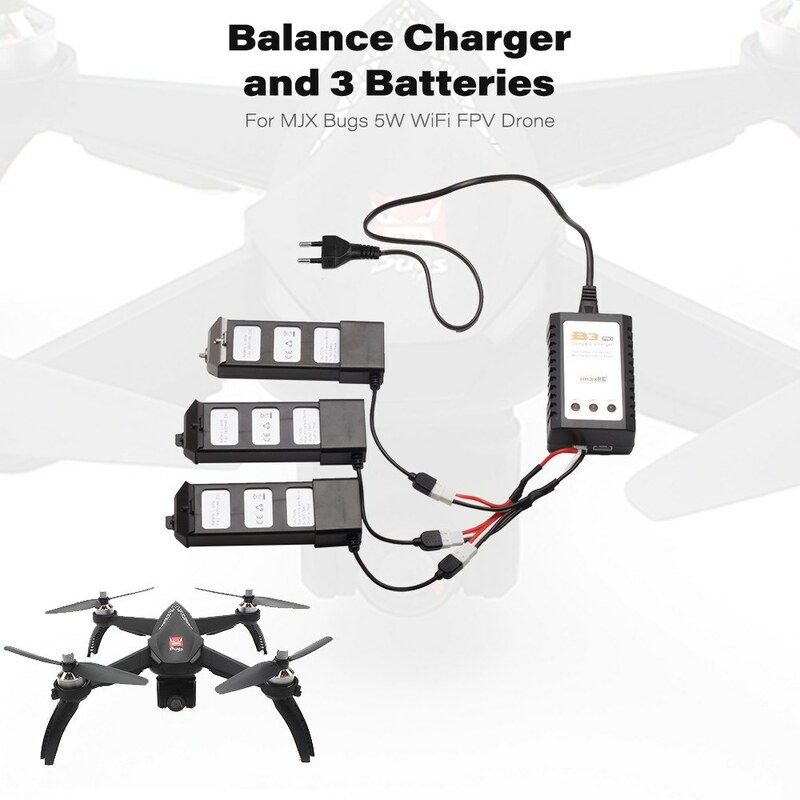 Suit for MJX Bugs 5W WiFi FPV RC Drone. 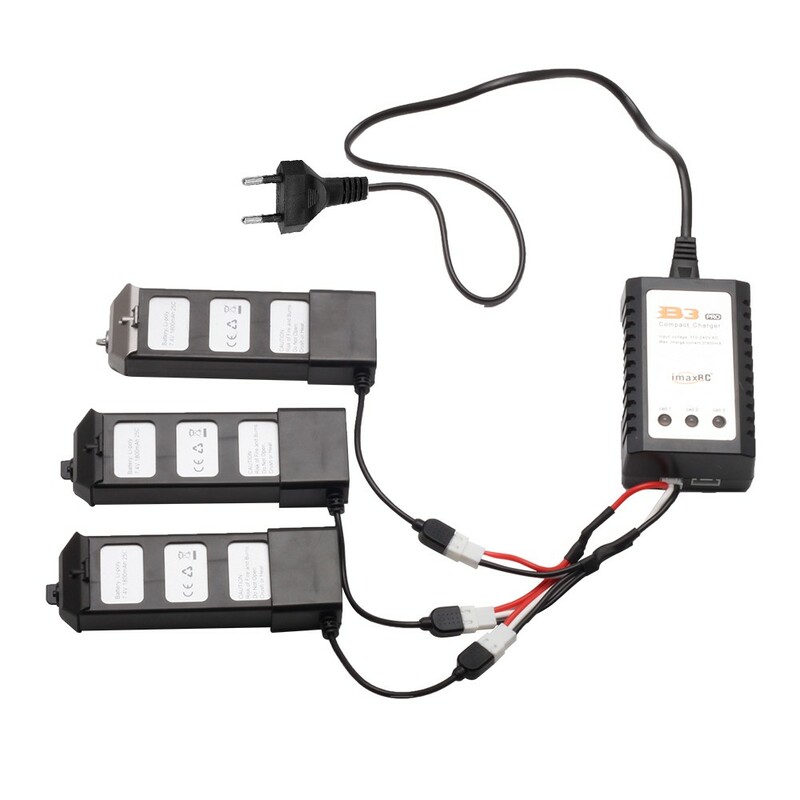 Do not over charge the battery, and please charge the batteries in time when they are low voltage. 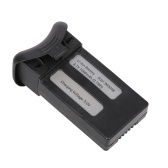 Don't put it beside the high temperature condition; Don't throw it into water; Don't throw it into fire. 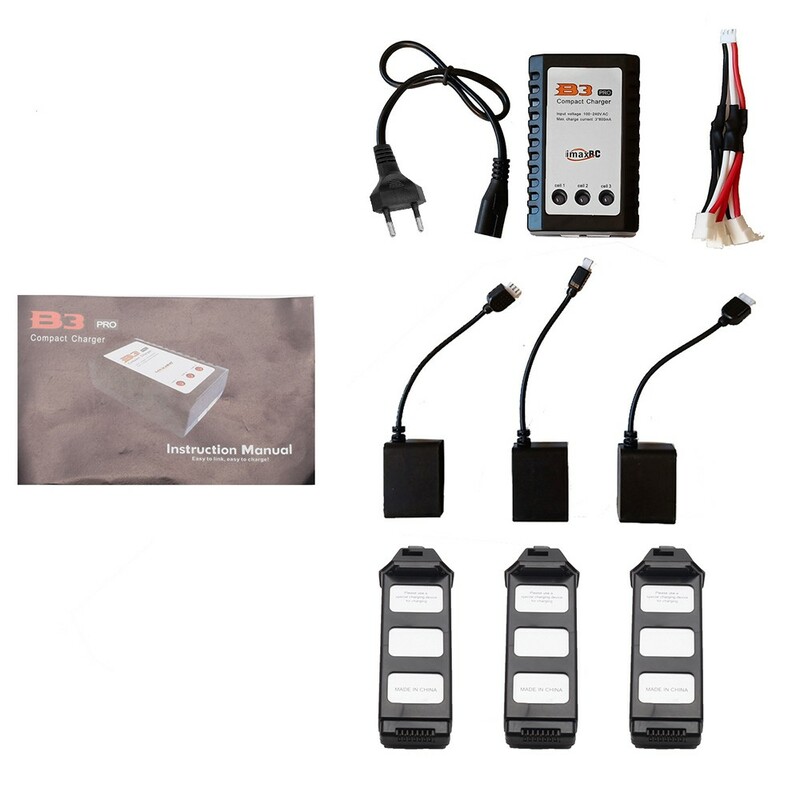 Q Does the adapter boxes with the balance leads come with this set?